Hear how Crete offers travelers a uniquely fascinating Greek island experience. Then travel writer Mark Adams describes his 3,000-mile voyage along the coasts of Alaska in the path of the Harriman Expedition of 1899. And a Dutch biologist explains how urban evolution around the world is happening faster than we used to think. The impressive Minoan Palace of Knossos is about a half hour's drive from the Crete capital city Heraklion. Rick writes about visiting the Samaria Gorge on Crete. Mark Adams writes about his 3,000 mile journey on the Alaska State Ferry system, to retrace the route of the 1899 Harriman Expedition, in his book "Tip of the Iceberg." 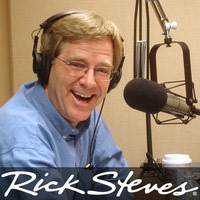 Mark Adams discusses the challenges of hiking to Machu Picchu on Travel with Rick Steves program #480, and his search for evidence of the legendary lost city of Atlantis on program #501. Biologist Menno Schilthuizen is the author of "Darwin Comes to Town." Menno also leads eco-tourist expeditions, in which "citizen scientists" discover and name new wildlife species in the jungles of Borneo.